A View from Your Hood from H.J. 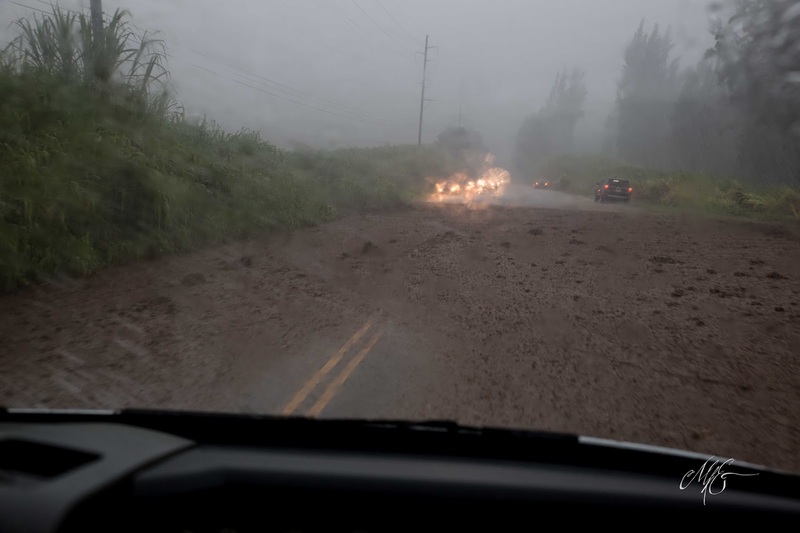 Elston: "Taken on the Mamalahoa Highway on the island of Hawai'i - pretty much the definition of "Flash Flood." The road closed moments after we went through." A Postdoctoral Research Fellow position is available in Drexel University’s Department of Chemistry. The successful candidate will have a PhD in synthetic organic or organometallic chemistry and a strong background in catalysis and/or multi-step organic synthesis. The highly motivated candidate will be responsible for both method development and target-oriented molecule synthesis. Interested applicants should apply by email to Professor Dionicio Martinez Solorio at dionicio@drexel.edu. Please attach PDF files of the following: (A) cover letter; (B) CV (including publications with list of authors, summary of research and teaching experience, and contact information for three professional references); and (C) one-page personal statement discussing career goals and mentoring/teaching philosophy. Review of applications begins immediately and will continue until the position is filled. 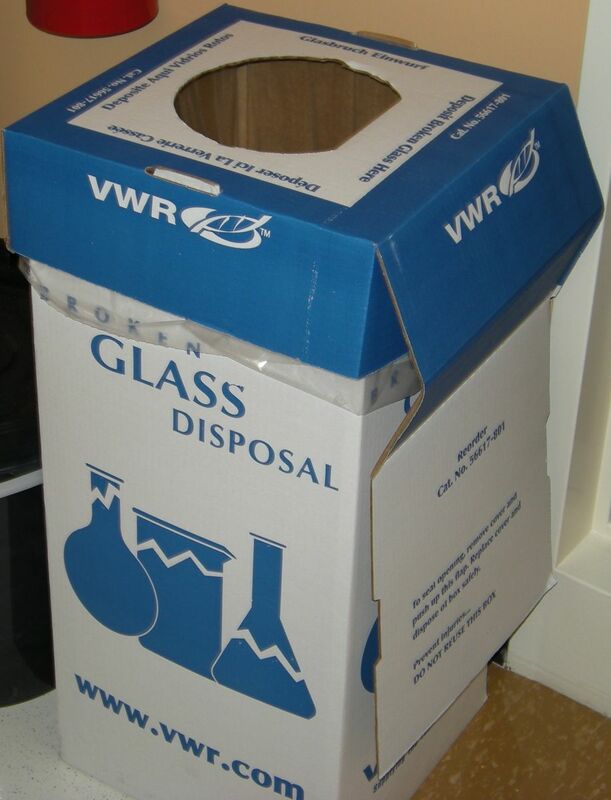 Contest: Dumbest thing ever put in a glass waste container? and a hairbrush in there. I used to work with with some people testing toothpaste additives. They were in the lab next door to me. They used to have to do some tests involving pig tongues. One day I noticed my broken glassware/waste container smelled bad. For a day or two I assumed it was just glassware with traces of amines, but then I realized they were dumping the pig tongues in there. Worst waste container smell ever. I can't even imagine what they were thinking, because the containers only got emptied when full. Can anyone top Old Biddy? I can't, but it sure annoys me when non-glass things end up in glass waste boxes. ...But materials specialists at the Air Force Research Laboratory (AFRL) recently have come to realize that organic contaminants—mold, mildew, fungi, bacteria—corrode aircraft surfaces more seriously than they had thought. Corrosion caused by living organisms is generated by moisture, humidity, human contact and by the increasing use of drop-in biofuels, and the microbes they bring with them are for all intents and purposes, eating airplanes. While the Air Force spends approximately $6 billion annually on corrosion issues, up to $1.2 billion of that could be spent on microbiologically-influenced corrosion. "Microorganisms can eat away at surface materials, and some of the worst areas affected are tight, hard-to-reach areas that maintainers have difficulty disinfecting," said AFRL Biological Materials and Processing team leader Wendy Goodson. The process is called the Joint Biological Agent Decontamination System, and it essentially just heats up the aircrafts in an oven to about 180°F to kill bio agents and viruses. 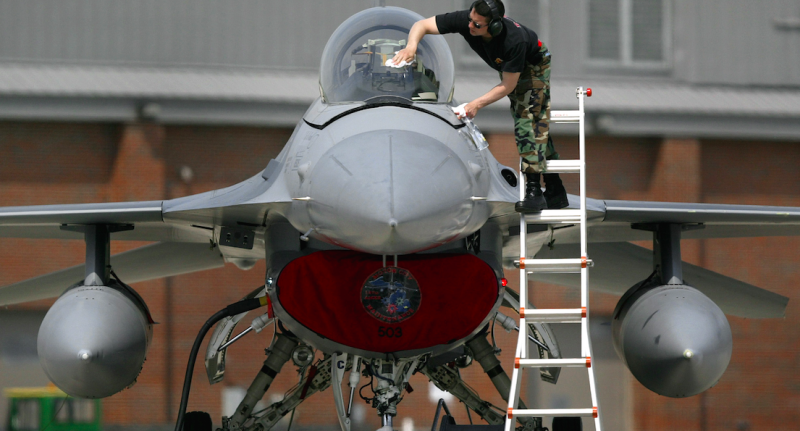 According to the Wright-Patterson Airforce Base, the process “eliminates over 99.9 percent of biological contaminants on aircraft surfaces.” Plus, since it kills microbes, the chance of them regrowing is hugely decreased. 3. Failure to properly maintain buildings used in the manufacture of API in a clean condition. For example, our investigator observed filth, insects, wet layers of [redacted] unidentified material on the floors, and foul odors in the cold rooms used to store raw materials and intermediates used in the manufacture of your finished API. Firm officials noted that the rooms had never been cleaned. We acknowledge your corrective actions, including cleaning, and adding the cold rooms to your pest control program. Gotta say, "foul odors" is one that I haven't seen before. The 2017 Chemistry Faculty Jobs List (curated mostly by Andrew Spaeth, with minor help from me) has 333 positions. The open thread is here. Seattle, WA: Startup looking for an experienced (2-4 years) Ph.D. polymer chemist. Menlo Park. CA: The SLAC National Accelerator Laboratory's SUNCAT Center for Interface Science and Catalysis is searching for 2 Ph.D.-level associate staff scientists; looks to be computational in nature. This is a newly created position and we’re looking for someone who is a fearless critical thinker with an entrepreneurial sense. We want a rock star who is ready to take this position and make it their own! Columbus, OH: First time I've seen one of these process formulations positions with Scotts Miracle-Gro. Looks like a good position for the right B.S.-level chemist. A vague description: Not typical for a R&D consulting position to be posted. Huh. We are seeking highly motivated synthetic chemists at MS/Ph.D level to join our dynamic team. The main job responsibilities include, but not limited to: deesign and execute scientific work such that there is a timely delivery of project objectives; solve complex synthetic problems relating to assigned projects using scientific and technical expertise. Huh, dunno what to think of that. The Department of Chemistry at Drexel University is seeking an outstanding early-career candidate for a tenure-track position at the assistant professor level. Candidates must hold a Ph.D. degree in chemistry or an allied field, develop a strong commitment to teaching in inorganic chemistry and be able to establish a vigorous, externally funded research program. Candidates should also arrange for at least three letters of reference to be sent to Dr. Tony Addison (AddisonA@drexel.edu) and The review process will start on October 17, 2016 and continue until the position is filled. The successful candidate must be qualified to work in the United States. Drexel University is an affirmative action/equal opportunity employer and encourages applications from qualified women, members of minority groups, disabled individuals and veterans. Assistant Professor in Organic Chemistry available in the Chemistry Department at Grand Valley State University, Allendale, Michigan, to begin August 2017. This tenure track position requires a strong commitment to undergraduate teaching and research. Ph.D. in Chemistry required; ABD will be considered with Ph.D. completed by August 2017. The Department values candidates who demonstrate an ability to work in a collaborative environment with a diverse population of colleagues and students. Responsibilities include teaching in all areas of the organic curriculum and possibly general chemistry, mentoring undergraduate research students, and service. Applications must be submitted online at jobs.gvsu.edu. See the Position Announcement at gvsu.edu/chem for complete details and application instructions. Official posting here. Best wishes to those interested. tOSU bolus: 5 positions from The Ohio State University. Birmingham, AL: UAB is looking for an assistant professor in experimental analytical, inorganic, or materials chemistry. Logan, UT: Utah State University is searching for two assistant professors, one in environmental chemistry, the other in analytical/physical chemistry. Sacramento, CA: Sacramento State is looking for an assistant professor of biochemistry. Greeley, CO: The University of Northern Colorado has two positions available. Los Angeles, CA: UCLA is looking for their Boyer/Cram/Libby Scholars, i.e. teaching postdocs. Overly honest ads: From Wofford College (Spartanburg, SC), some unusually honest statements for an assistant professor position: "The position became available in early June when our Analytical Chemist accepted a position outside of academia." Is there demand for scientific glassblowers? Some cutting-edging science today relies on the centuries-old art of glassblowing. When researchers in chemistry, physics and medicine need special glass tools for complex experiments, they sometimes sit down with a glassblower to sketch out designs for customized beakers, flasks and condenser coils. New Jersey's Salem Community College is trying to keep that tradition going with the country's only degree program in scientific glassblowing. Housed among corn and soybean fields about an hour south of Philadelphia, the school's Glass Education Center in Alloway, N.J., specializes in one of the most popular materials in a research lab. "It's clear. You can see what the experiments are doing. It holds no chemical history. And it can be shaped into any form you like," explains Dennis Briening, the instructional chair of the college's two-year scientific glass technology program. "Whatever your imagination is, it can be made." This seems to me a field with a very limited number of standard, benefits-providing full-time positions. You probably have to be a decently large Ph.D.-granting institution to employ one glassblower with their shop. I estimate that there are less than 400 full-time scientific glassblowers in this country. Never mind! I've figured it out - the Occupational Outlook Handbook calls glassblowers "Molders, Shapers, and Casters, Except Metal and Plastic". There are 4,000 of them working for glass manufacturers - would be interesting to know how many work for Ace or ChemGlass. It seems to me that the real requirement for bespoke laboratory glassware is something that the folks at ChemGlass or Ace could easily handle. That said, some opinion on Twitter and Reddit is suggesting there's a little demand. So, readers, what do you think? I'm probably wrong, but I don't think so. Anyone think there's a market for renting lab equipment? Also in this week's C&EN, an interesting little article by Marc Reisch about a new intermediary for lab equipment rental? Up and running for a year and a half, the firm acts as an intermediary between potential renters and instrument suppliers. Robin Salter, Kwipped’s chief marketing officer, calls his firm an “Uber for the equipment space,” referring to the phone app that hooks up drivers with customers who need a ride. Like Uber, Kwipped connects manufacturers and refurbishers with prospective renters of electronics testing, environmental testing, medical, and even heavy construction equipment. Kwipped’s staff directs inquiries to potential suppliers, who submit bids that are then passed back to renters. Although Kwipped can make rental arrangements for a variety of equipment, laboratory equipment has been the firm’s most active category, Salter says. The bulk of inquiries, many about renting for less than a year, come from contract and clinical research organizations in the pharmaceutical industry, he says. ...Wallis Blumm, project management vice president at Innovis, a clinical development consulting firm, says that was the reason she helped arrange a freezer rental through Kwipped. Her client, the operator of a clinical research site, didn’t want to invest in a freezer needed for just one short-term project, but the study sponsors would pay for the rental, she says. This is an interesting idea, but my problem with Kwipped's business model is that it still relies on refurbishers, who have a terrible track record on the Dovebids and LabX's of the world. Selling as-is used equipment with nonexistent customer service seems to be standard; I guess the fact that one would be renting, rather than buying, would be the upside. I'm probably too down on this. Profile of NIEHS by Britt Erickson. Fun little web application about Chemistry Nobels. Ask CJ: How should a candidate answer "Why don't you want to do a postdoc?" During the onsite interviews I've had, I always get asked: Why don't you want to do a post-doc? I feel like my answers for this are never well received (I usually say that during my PhD, I've worked on a variety of different types of chemistry and I'm excited to work in the fast-paced world of drug discovery). Do you know what kinds of answers they are looking for? Readers, do you have a good answer to this question? Help EBZ out! 2. Failure to follow and document laboratory controls at the time of performance, and failure to document and explain any departures from laboratory procedures. During the inspection, your firm provided our investigator a chromatogram for an assay analysis of [redacted] batch [redacted] dated August 30, 2014, at 9:46:39 a.m. Your firm later submitted to FDA a different chromatogram corresponding to the same analysis, instrument, date, time, and batch. The second chromatogram appears exactly the same as the one provided during the inspection, but it includes a different method file name, column type and serial number, and system temperature. Both versions of these documents cannot represent the actual assay analysis that you conducted for batch [redacted] on August 30, 2014, at 9:46:39 a.m. I don't quite understand the circumstances where this could have happened, but perhaps the good folks at Hebei Yuxing have an answer. I presume that the good folks at Willamette University (Salem, OR) have made an error. The 2017 Chemistry Faculty Jobs List has 298 positions. The open thread is here. In addition to formal communication, I maintained a simple professional website with an IP tracker. The site came up on the first page of results for a search on my name and I included the web address in my application materials. I checked the hits at least a few times a week and in the case where the IP address mapped to a university, I recorded the first and second visit dates. If I applied to multiple positions at a university, I assigned the hit to the earliest application date unless there was a good indication of department in the IP (e.g. genetics.yale.edu). For large geographical areas with only one university, I counted hits from the city where the university was located even if it wasn’t through a university assigned IP address (e.g. for University of Utah, also hits from Salt Lake City). I did not do this for cities with multiple universities. Thus, IP tracking data is much more robust for large state universities than it is for universities in areas like Boston, New York and San Francisco. It is likewise more accurate for universities with one open position than with multiple open positions. Finally, it is much more accurate for applications with earlier due dates (say August through November) because later on there started to be too many hits to parse with as much granularity. 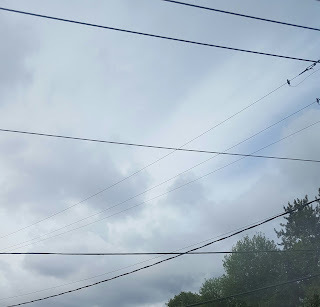 The data set suffered a bit because the task grew in complexity as other demands on my time increased and my anxiety over finding a position diminished. One of the things that all job applicants express is the frustrating with the Great Job Application Cone of Silence that happens. It seems to me that this is one of those small ways to break that Cone - if your website is getting hits from places that you're applying, you're at least making one cut. When Conry interviewed for positions at primarily undergraduate institutions, she highlighted her strengths in teaching and mentoring. She told the hiring committee, “Here’s how this position is a good fit for me, here’s what I’ve learned, and here’s what I bring to the table.” That helped her overcome the stigma of having been denied tenure. Article by Celia Henry Arnaud about new universities without tenure. Piece by Linda Wang on tenure denial, and what comes afterward. Pretty cool data visualization on Nobel prize winners by Matt Davenport. Someday, surveillance of sewer systems is going to be a thing, I suspect. 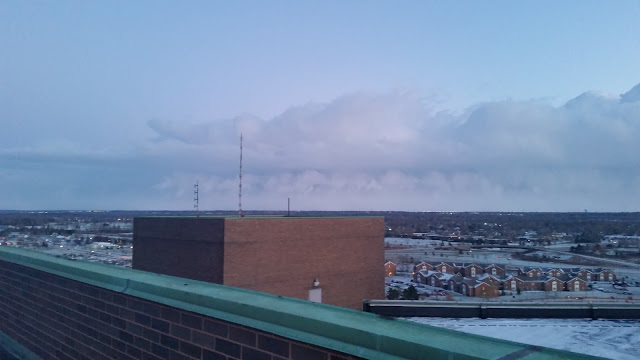 From an anonymous reader: "These were taken on top of our building in winter 2014 (November 18th to be exact) in Buffalo when that crazy storm dropped 8 feet of snow on most of the city." They have chemists at the Met? After seven years at GE, Breitung wanted to move to New York City. When he saw an ad in C&EN for an art conservation scientist at the Metropolitan Museum of Art (the Met), he applied: It was a perfect match for his interests in science and art. Breitung didn’t get the job, but he contacted department head Marco Leona to find out how he could work toward this type of job. “He was willing to offer me a fellowship for a year at a huge pay cut from industry.” Breitung took leave from GE. Breitung returned to GE for seven months before moving to Washington, D.C., to take a job as an art conservation scientist at the Smithsonian. In that position, he identified dyes on textiles from Central Asia. In 2010, he got a job as a senior scientist at the Library of Congress, where he examined materials in magnetic tape and other media. Along the way, he kept in touch with Leona, who became a friend and mentor. Champaign-Urbana, IL: UIUC is looking for an assistant professor; "all major areas of chemistry but with a special emphasis on analytical, inorganic, and materials chemistry." College Park, MD: The University of Maryland is conducting an open rank search. "Bioanalytical, biophysical and environmental chemistry candidates, and others developing innovative measurements and methods for frontier research in the chemical sciences, broadly defined, are particularly encouraged to apply." Lawrence, KS: The University of Kansas School of Pharmacy is searching for an assistant or associate professor of medicinal chemistry. Brockport, NY: The College at Brockport, SUNY is looking for an assistant professor of organic chemistry. Muncie, IN: Ball State University is looking for an assistant professor of biochemistry. Montreal, QC: McGill University is searching for two assistant professors of green chemistry. The List: The 2017 Chemistry Faculty Jobs List (curated mostly by Andrew Spaeth) has 264 positions. Twist Biosciences is recruiting a Product Manager to support the upcoming launch of its next generation DNA libraries. In the role (s)he will drive an effort that is charged with taking a product from inception to commercialization. (S)he will work on both a strategic and tactical level by owning the entire product life cycle as well as defining a commercialization plan that enables accelerated adoption within the target market, specifically the pharmaceutical market. Within this scope, (s)he must be able to analyze the market by identifying trends, assessing the competition, conducting customer voice surveys and identifying opportunities that can be addressed, allowing for the definition of requirements that lead to well-differentiated products with a strategic market fit. The ideal candidate must also possess a keen understanding of the target market and their behavior to ensure a successful commercial roll out. Sounds like this is something where a phosphoramidite synthesis background would be very useful. Best wishes to those interested. Interesting comment about chemist openings at Johnson Matthey over at ItP. Merck is currently seeking exceptional Chemists for positions within the Discovery Chemistry Departments located at our South San Francisco, CA site. - Experience in methodology/catalysis, total synthesis, Chemical Biology, or Physical Organic Chemistry is required, along with a proven track record of solving complex problems. Here's the link. Best wishes to those interested. I am not typically a fan of chemistry puns or T-shirts, for that matter, but this T-shirt (close-up here) is pretty fun. The designer is Connor Evans (who has a Ph.D. in polymer science), with assistance from Will Olthouse. To purchase the T-shirt, here is the only official source. ...Queen Elizabeth’s Commonwealth Day message continues, “So many of the world’s greatest technologies and industrial achievements have begun as partnerships between families, countries, and even continents. But, as we are often reminded, the opposite can also be true. When common goals fall apart, so does the exchange of ideas. And if people no longer trust or understand each other, the talking will soon stop too.” With these thoughts ringing in her ears, it is to be hoped that the monarch will work passionately behind the scenes in London to dissuade her government from failing to learn yet another lesson of history, which is that small islands that isolate themselves off the shores of large continents are destined to eke out more impoverished existences than their continental cousins. I don't pretend to have any insights into British politics (or EU administration), but it seems to me that the prevailing wisdom into Brexit was that it's highly unlikely for Sir Fraser's suggested solution to work? I am under the impression that the governments of France and Germany were interested in a quick divorce; perhaps the facts on the ground have changed? I see Dr. Tronofas and his team won a "Heroes of Chemistry" award in 2014. And lab reports to grade. No spare time to play. To a PhD of my own. "Have you worked with anything... high-tech?" A federal crackdown on for-profit colleges is cutting off a lifeline to the once high-flying industry as the second major school operator in recent years closed Tuesday, potentially leaving taxpayers on the hook for hundreds of millions of dollars in student loans. ITT Technical Institute, among the nation’s largest for-profit college chains by revenue, abruptly closed more than 130 campuses, forcing more than 40,000 students at campuses in 38 states to begin looking for another school after the government banned it from enrolling new students receiving federal aid. It follows last summer’s liquidation of Corinthian Colleges Inc. The for-profit college industry has shriveled in recent years, with enrollments of the largest chains plummeting by more than half in the past five years. The pullback came as the government clamped down on aggressive recruiting practices and stricter policies intended to ensure that schools are preparing students for gainful employment. The marketing for the school was always something that warned me away from it. I'm pretty sympathetic to its students, who will probably have a difficult time transferring to another institution. But, thanks to YouTube, we'll always have its commercials, and its brutal depiction of the job market. 2. Failure to properly maintain, repair, and keep clean buildings used in the manufacture of API in a manner that prevents contamination where open equipment is used. You utilized open equipment for the manufacture of API. Our investigator observed chipped paint on the ceiling directly above open [redacted], which could have fallen into your open equipment and contaminated your API. Our investigator also observed gaps around windows and doors, and holes in ceilings directly above open [redacted]. Flying insects that were observed in clean rooms and on product transfer [redacted] may have entered through these gaps and holes. In your response, you stated that you would repair parts of your facility and replace some of your equipment. You did not provide details regarding your planned repairs and replacements, such as purchase orders and photographs of the renovations and replacements. As indicated above, at the time of our inspection, your facilities and equipment were in such a state of disrepair as to be unsalvageable; small or minor repairs will not adequately correct the problems and prevent their recurrence. In response to this letter, provide your written plans to renovate both facilities entirely, and submit photographic evidence of the completed renovations. The Department of Chemistry & Chemical Biology at IUPUI (http://chem.iupui.edu/) invites applications for a tenure-track faculty position in analytical chemistry to begin August 1, 2017. The position is open to applicants from all areas of analytical chemistry, but candidates with research interest in mass spectrometry are particularly encouraged to apply. 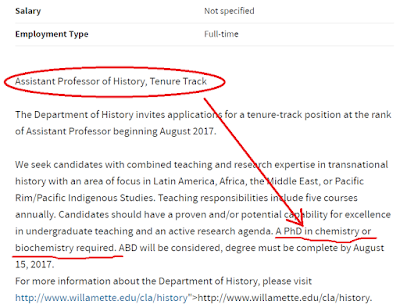 The position will be at the rank of Assistant or Associate Professor, with tenure status to be determined based on prior experiences and qualifications. We specifically seek candidates whose research interest can support and expand the department’s efforts to complement campus-wide interdisciplinary research programs in the life and health sciences, including ongoing collaborative efforts with the IUPUI School of Science, the IU School of Medicine, and the Integrated Nanosystems Development Institute. Applicants must hold a Ph.D. in Chemistry or a related discipline along with relevant postdoctoral training. Candidates will be expected to establish an externally funded innovative and rigorous research program, and teach undergraduate analytical chemistry and graduate courses effectively. Applicants at the Associate Professor level must have a record of research excellence, a history of external funding, and evidence of successful student mentoring. Full listing here. Best wishes to those interested. Sometime in the last week. Have a good (long) weekend. When I think of Roger Tsien, I have to think of his meet-the-laureate session in Lindau a few years back: While many other speakers used this rather informal format to give another talk, he instead wanted to talk about research problems from students in the audience. Truly mesmerizing! Devens, MA: Johnson Matthey Fine Chemicals is looking for a process chemist; B.S./M.S./Ph.D. plus experience desired. Livermore, CA: Sandia National Laboratories is looking for a manager of its Biomass Science and Conversion Technology department. Saint Louis, MO: American Radiolabeled Chemicals is looking for experienced synthetic/analytical radiochemists. Once more, with feeling: PharmAgra Labs, (Brevard, NC). A broader look: Monster, Careerbuilder, Indeed and USAjobs.gov show (respectively) "1000+", 396, 9,527 and 15 positions for the search term "chemist." LinkedIn shows 1,142 positions for the job title "chemist", with 170 for "analytical chemist", 48 for "development chemist", 33 for "research chemist", 16 for "organic chemist", 15 for "medicinal chemist", and 9 for "synthetic chemist." "Millennials want transparency, flexibility and the ability to work for multiple employers simultaneously if they chose, anywhere they choose." Actually, I suspect that younger people want the same thing as most folks: to be able to work at a stable job that pays well with good benefits. 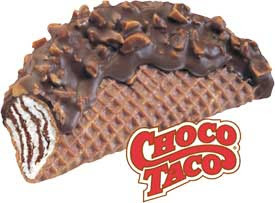 I confess I love a Choco Taco. Choco Tacos, M&Ms, licorice and Chobani Greek Yogurt are just a few of the food items officials for the U.S. Bureau of Land Management are demanding Burning Man organizers provide them at this year's festival, according to documents obtained by the Reno Gazette-Journal. Those demands by the BLM, unprecedented in Burning Man's history, have turned into a point of contention as organizers negotiate with the agency for their annual permit to stage the event in the Black Rock Desert this summer. I've never quite been in a situation where I could name my price, and I'm really not much of a negotiator. But I do admire folks who know then they have the upper hand in a negotiation, and can demand things that can make their heart happy, like Choco Tacos. Chicago, IL: The University of Chicago is looking to hire an assistant professor of chemistry. Salt Lake City, UT: The University of Utah is hiring at all levels for a new "Biophysics/Neuroscience/Chemical Biology Cluster". 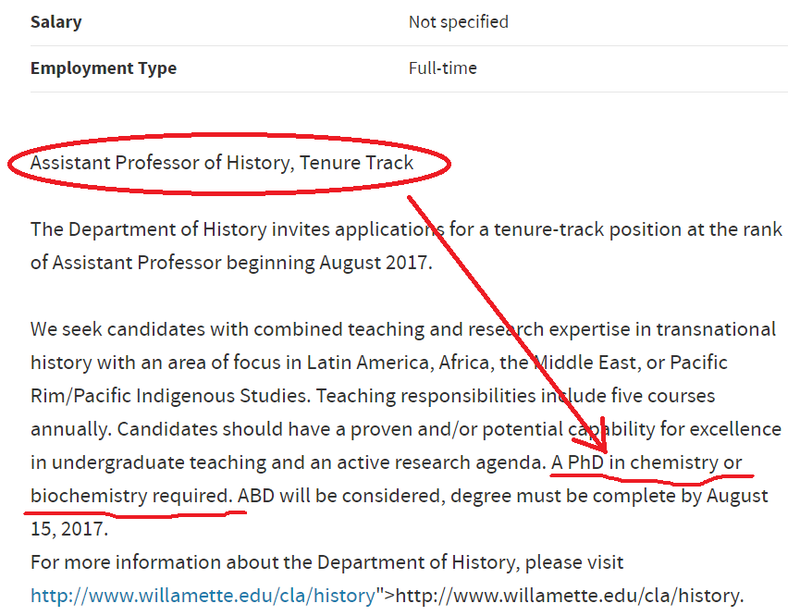 They're looking to hire at the assistant professor level, but all applications will be entertained. Nashville, TN: Vanderbilt University is looking for an assistant professor of chemical biology. Huntsville, TX: Sam Houston State University is hiring an assistant professor of organic chemistry. Junior candidates must also arrange for at least three letters of recommendation, while senior applicants can apply in confidence. Fort Collins, CO: Colorado State wishes to hire an assistant or associate professor of chemistry. Milwaukee, WI: Marquette University wishes to hire an assistant professor of analytical chemistry, preferably one with expertise in bioanalytical chemistry. Minot, ND: Minot State University is looking for an assistant professor of analytical chemistry. Newark, NJ: The New Jersey Institute of Technology is hiring a lecturer of organic chemistry. The List: The 2017 Faculty Jobs List (curated mostly by Andrew Spaeth) is at 181 positions.